Test you visual skills with this Visual Picture Puzzle. In this Picture Puzzle there are different containers connected with main container name A. Water from tab starts pouring in A. 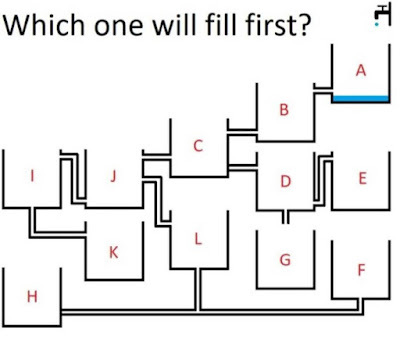 Observe this Puzzle Picture carefully to find which container will get filled first? 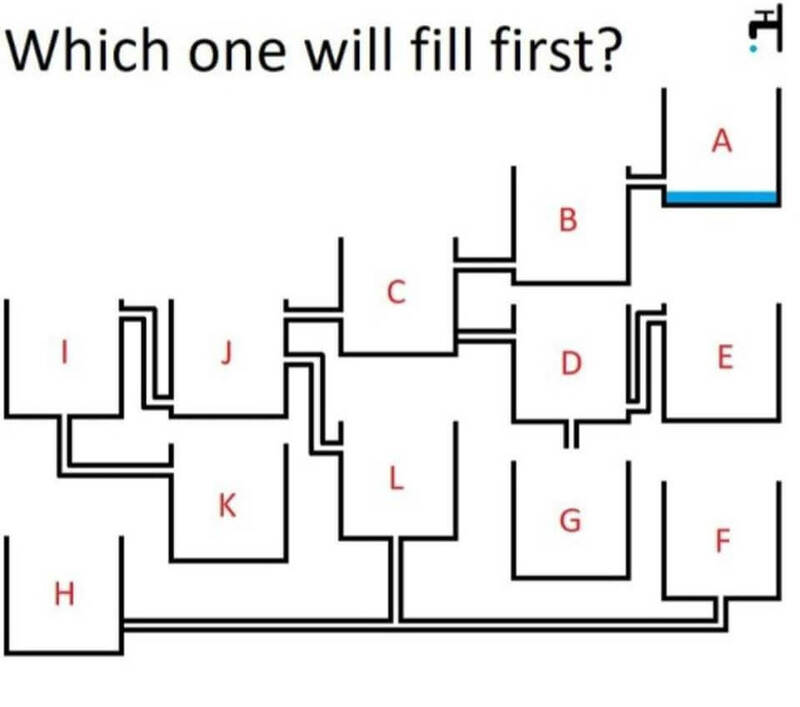 Which one will get filled first? Answer of this "Visual Picture Puzzle for Teens", can be viewed by clicking on button. Please do give your best try before looking at the answer. Exit from C to D is closed which will prevent G getting filled.